How to use Canesten Skin? 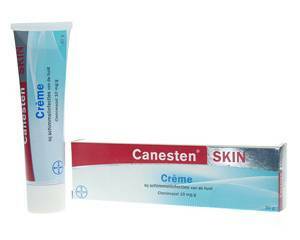 Canesten Skin is an antifungal creme with which you can treat skin fungus in an effective way. The active ingredient of Canesten Skin is clotrimazole. Clotrimazole damages the cell walls of the fungus, so they will die off and the symptoms will disappear.